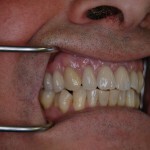 Do you repair and adjust dentures to the public ? Yes we can repair, reline, add teeth and adjust dentures to the public whilst you relax in our private and comfortable customer waiting area, most repairs can be done in less than an hour at our laboratory based in Whickham, Tyne & Wear. 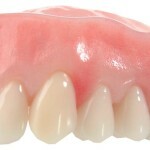 Do you make new dentures direct to the public ? 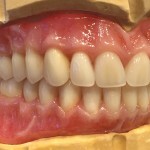 Yes, Chapman Dental Solutions not only design and fabricate dental prosthetics to the prescription of dentists but have a specially trained Clinical Dental Technician who is able to take impressions and fit our beautiful bespoke dentures personally. Book your no obligation free consultation now ! What are the advantages in visiting a Clinical Dental Technician as opposed to seeing my regular dentist ? Clinical Dental Technicians are the denture experts and have a special interest in this area only unlike many general dental practitioners . Liaising with the technicians that are making your dentures direct gives the patients a unique opportunity to have truly bespoke and the most natural looking possible . Every patient is different and wants different things from their dental prosthetic, dealing with the technician direct ensures nothing is lost in translation between clinic and laboratory, after all its what we do all day everyday ! What services do you offer at the laboratory ? We design and fabricate a wide and varied range of dental prosthetics for dental practices and hospitals including cosmetic dentures, cobalt chrome frameworks, flexible dentures, invisible clasps, implant retained dentures, hybrid and custom combination work, orthodontic appliances, sports mouth guards, bleaching splints, snoring appliances and many more. If you are a dentist that would like to provide your patients with the best dentures available then call the laboratory today for further information. What services can the laboratory offer our dental practice ? 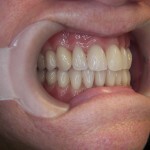 We design and fabricate a wide and varied range of dental prosthetics for clinicians including cosmetic dentures, cobalt chrome frameworks, flexible dentures, invisible clasps, implant retained dentures, hybrid and custom combination work, orthodontic appliances, sports mouth guards, bleaching splints, snoring appliances and many more. Call the laboratory for further information, price list or for one of our couriers to drop off an information pack. Do you offer a collection and delivery service ? Yes we offer a fully insured special delivery and postage service. We aim to keep our prices competitive even though we used the best techniques and materials available. Volume discounts are given to busy and loyal clinics that qualify by sending a certain amount of cases each month. Where can I find a price list ? E-mail the laboratory office mail@chapmandentalsolutions.co.uk and pdf price list and prescription form will be sent to you. Book an appointment at the North East’s premier denture clinic and dental laboratory.